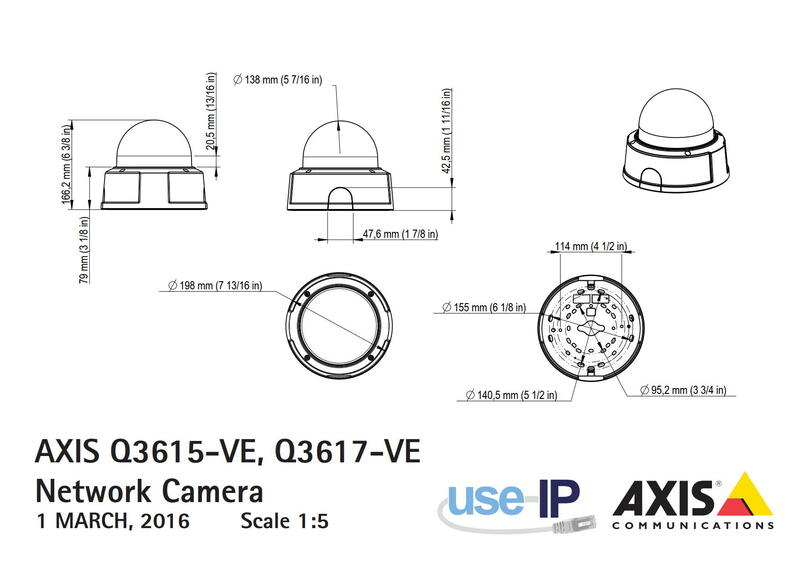 Thanks to its 1/1.8” sensor and high-performance image processing, Axis Q3617-VE supports Lightfinder and WDR - Forensic Capture with optimal image quality in difficult light conditions. The camera can record video at 4 MP at 30 fps with WDR, or 6 MP at 20 fps with WDR disabled, the installation and positioning of the camera is made simple by its unique remote pan/tilt/roll/zoom (PTRZ) solution. The camera also comes with electronic image stabilisation that makes the camera robust and reliable even in the harshest conditions. - Exceptional video quality with 1/1.8"